Esso has officially launched Speedpass+ for iOS (and Android), which lets customers pay for their gas and car washes from their smartphone. 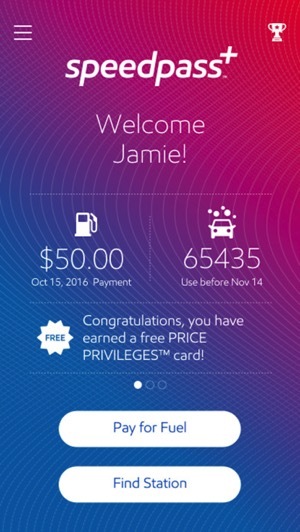 The company says they are the first major fuels retailer in the country to offer mobile payments at the pump, which includes loyalty rewards. How does Speedpass+ work? Users first download the app, then add a credit card such as Visa, MasterCard, American Express, RBC Esso Visa or an Esso Gift Card to the app. You can also add your Esso Extra points or Aeroplan Miles card as well. Next, you select the gas and grades you want, amount, car wash, then the payment is processed via the cloud, instead of tapping at the pump with NFC or scanning bar codes. 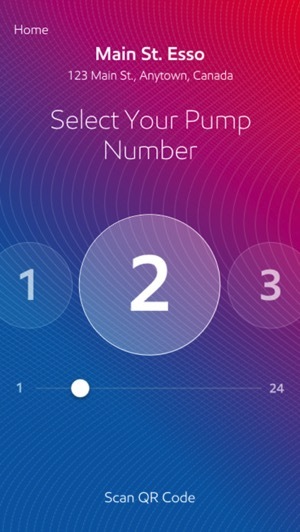 Users get to select the numbered pump they are located at (with the iPhone camera scanning the pump’s QR code), then authorize mobile payments through a data connection. You will be required to confirm your purchases with a 4-digit passcode (Touch ID should be implemented here). Receipts for payments can be sent by email, printed at the pump or both, with the app recording spending history, which can be helpful for those needing to track business expenses. Esso says Speedpass+ is available at nearly 1,000 participating Esso locations across Canada. This is a brilliant idea to make paying for gas much faster than using existing point-of-sale machines at the pump. Let us know if you’re going to try this out. We’d like to see the implementation of Apple Pay, like they have in the USA with this. Click here to download Esso Speedpass+ in the App Store.